According to the National Highway Traffic Safety Administration (NHTSA), tire failures cause around 11,000 car accidents every year in the United States. 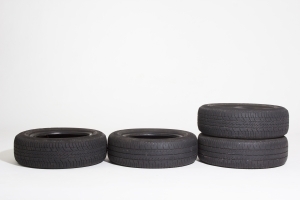 These car accidents occur for many different reasons, including separation of the treads of tires; tire blowouts; bald tires; and tires that are underinflated. Our Boston defective tire attorneys know that poorly designed and badly manufactured tires are one of the primary reasons for tire-related accidents. However, there are also other causes as well, such as a failure on the part of drivers to maintain their tires properly. Now, the NHTSA is reminding car owners that the risk of tire-related accidents is higher in the summer months if tires are not properly maintained. The NHTSA advisory warns that the summer is a bad time for tire-related accidents. Unfortunately, the heat can exacerbate tire problems and the warmth of the pavement can contribute to the breakdown of tires. This is especially a problem when cars travel along highways at high speeds, with the hot roadways and the friction from the car travel making it more likely that a tire tread separation or blowout will happen. If the tire fails as a result of a problem with the manufacturing or design of the tire, there is little that a driver can do to stay safe and the tire manufacturer should be held responsible for losses and damage that occur. However, if the tire fails as a result of a driver failing to maintain his vehicles, then the accident can be the fault of the driver. Check their vehicle manuals in order to determine the appropriate tire pressure in pounds per square inch and ensure that the tires are at the appropriate pressure. Keep a tire pressure gauge in their vehicles and check the PSI to ensure that the tires have not become underinflated. Tires can lose as much as one PSI each month, so checking the PSI regularly is important. Using the cars tire pressure monitoring system and taking action if the system issues a warning. Monitoring the tread of the tires on all vehicles and ensuring that the tires do not have treads worn down to 2/32 of an inch or less. A penny test can be used to make sure the tread is not too worn. If you put a penny in the tread of the tires with Lincoln’s head upside down, you shouldn’t be able to see the top of Lincoln’s head. By following these tire maintenance and safety tips, you can reduce the chances of a serious accident occurring as a result of defective tires. You should also regularly check to ensure that your tires have not been recalled due to defects or problems. If you or a loved one was injured by defective tires, call the Law Offices of Jeffrey S. Glassman for a free and confidential appointment — 1-888-367-2900. Are You Using a Recalled Snow Blower With a Tire Defect? Boston Personal Injury Attorney Blog, January 25, 2013.